The program of Vizo Institute is engaged with film art and visual culture, its focus field of work being film education. In this framework, we have been striving to spread the critical evaluation of film and the visual culture among the young people since 2013. Vizo has since organized and carried out an enviable number of events and projects, and we are presenting the ones that form the base of our work. With Mad about film (MAF) we re-established a space that offers young people the opportunity to get a quality informal education on film and everything concerning film. Through mentorship, absorbing contents on the web page, specialist lectures and practical workshops, we want to engage the young people for them to start (co)creating various, film concerned contents that they are interested in. 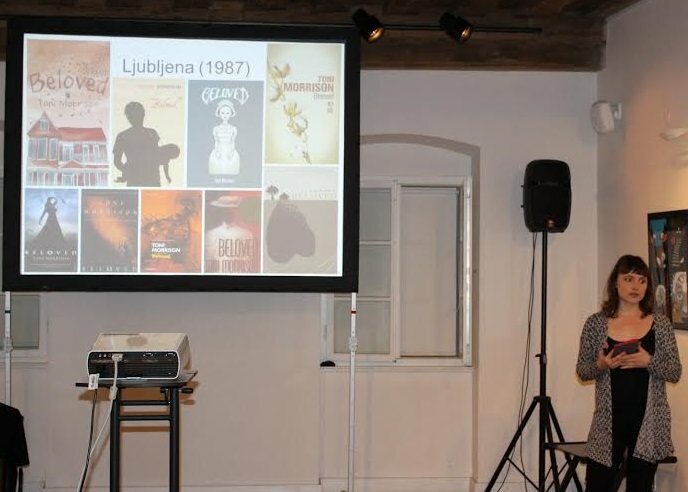 MAF is also active at Slovene film festivals, in the framework of which we regularly organize seminars at which partakers get to know various thematic fields in film as well as international guests. More: www.madaboutfilm.si. When children and youth watch a movie in the cinema, the impressions are still fresh and their heads are filled with a bunch of questions. 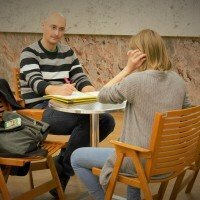 This is the time when it is important to talk to them about the topics of the film as well as film means of expressions, which are constructing the film as a medium and as art. 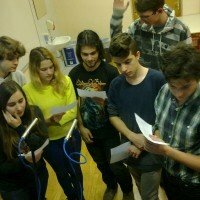 We execute this during school-organised cinema visits, cooperating with the Art Cinema Network of Slovenia, as well as with film festivals all over Slovenia. 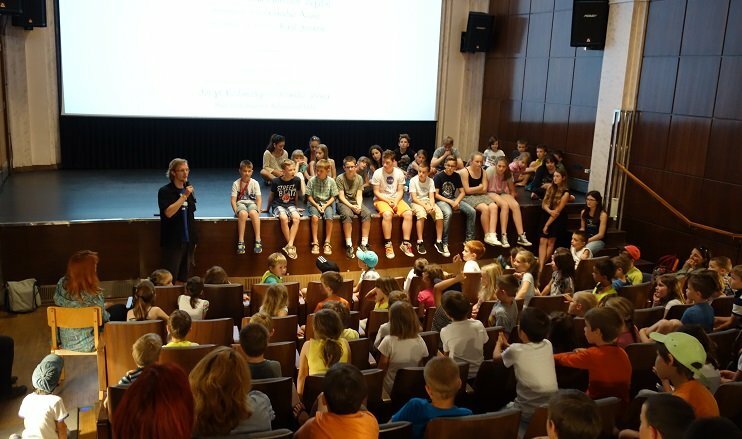 In the year 2015, Vizo Institute as a producer, together with 11 cinematographs of Art Cinema Network of Slovenia, organized the first international film festival for children and youth in Slovenia, called Eye on Film. We will offer quality film contents to the interested audience this year as well and will continue the festival’s mission – film education, with an even richer programme, more (international) guests, as well as a reinforced festival team. More: www.filmnaoko.si. It is of key importance for us for film to gain its place behind the school desks. By giving children the opportunity to gain film literacy through different projects carried out across the whole country, we introduce children and youth with the basics of understanding the film as medium, art, and as the intersection of the web of symbolism, specific language, aesthetics, as well as social contexts. We introduce the youngest ones in kindergartens with the film world with interactive workshops, while we present it to the older ones in primary and high schools with the help of multimedia lectures. The first project that we have established with Vizo were Workshops of sound equipping and synchronising of animated film. We wish to present the sound to children and youth as one of the key film components that often goes forgotten, and we wish to do that in a creative way. 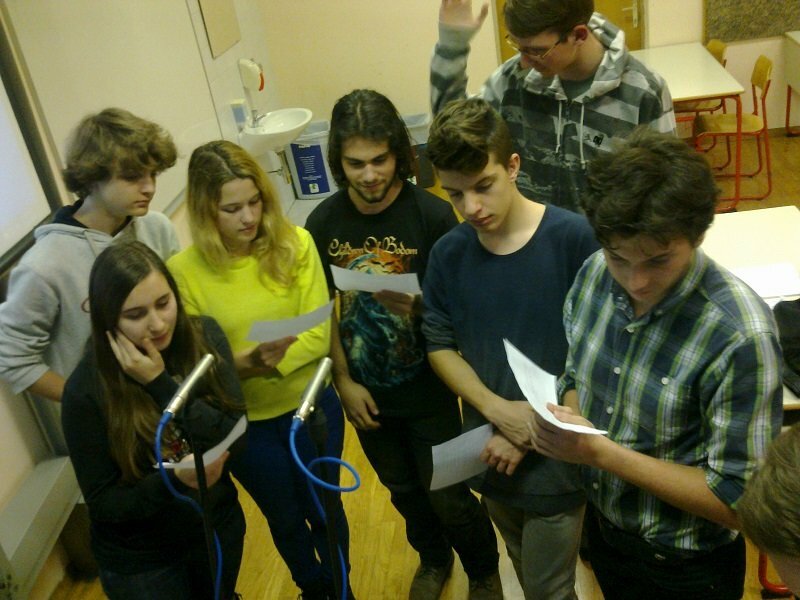 The workshops are age-adapted and their goal is always sound equipping an animated film. The images of the mass media have flooded our society and we can no longer imagine communication without the visual component that prevails over the written and verbal communication. That is why Vizo School of Criticism’s goal is to help the youth with shelling off layers of contexts and decoding of visual culture, as well as to provide them with a place where they can express themselves creatively as well as critically. 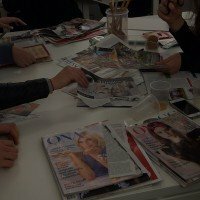 With that purpose, Vizo is organising a series of diverse workshops thematically connected to visual culture, which consists of a theoretical as well as a practical, creative part, both carried out under the watchful eye of acknowledged mentors. The goals of workshops aren’t artistic results, but getting to know art as a means of expression. 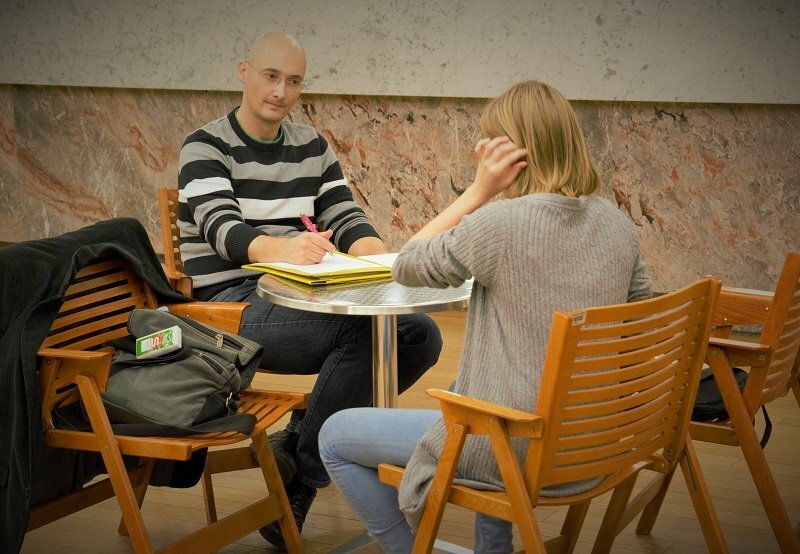 Vizo mentors also prepare regular lectures on the topic of the interconnection of film and literature. 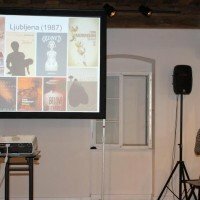 In these realms, we cooperate with various libraries across the country, among others with the strongest network of Slovene libraries, Ljubljana City Library, for which we have prepared eight lectures for a more demanding audience this year.